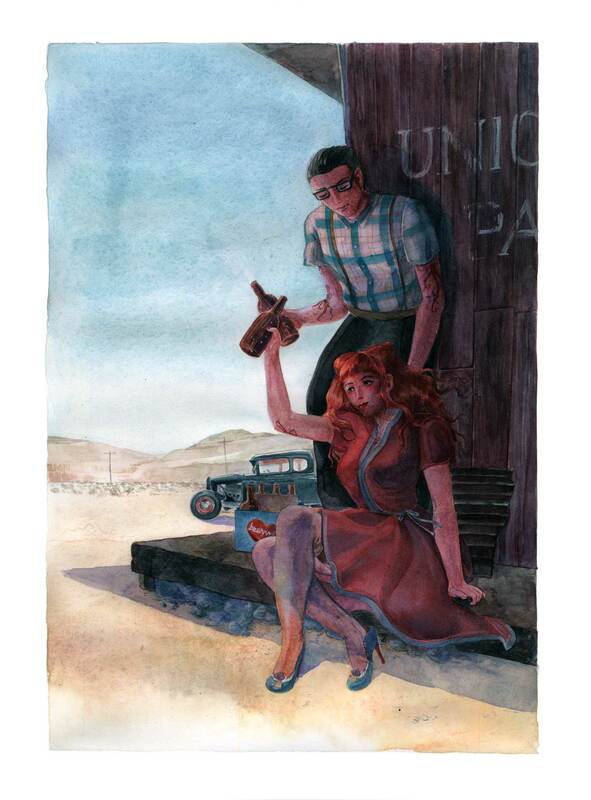 These two lovebirds are the characters of my friend François Amoretti’s latest book titled “Burlesque Girrrl”. They are members of a rockabilly band so I imagined them on tour in the US, taking a break while travelling in the middle of nowhere. This tribute is published within the book. By my own mistake, the illustration was done on the wrong side of the paper so it might not look as neat as my usual watercolor paintings.